Here is an obscure piece of memorabilia. 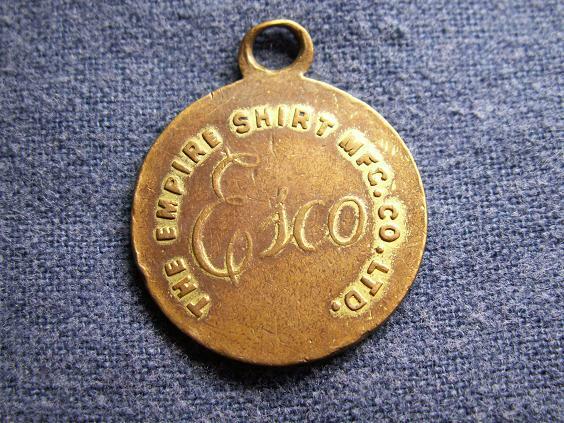 My Grandfather wore this through the entire war tied to his dogtags. Apparently it was tied to a string connected to one of the chest pocket buttons in one of the issue shirts that he got upon enlistment. I always heard that manufacturing company employees would slip notes or items of this nature into clothing but inspectors would remove them if they found them. Guess this one got through. Since he was Irish he wore it, and thankfully it helped him make back home unscathed...at least he thought so. 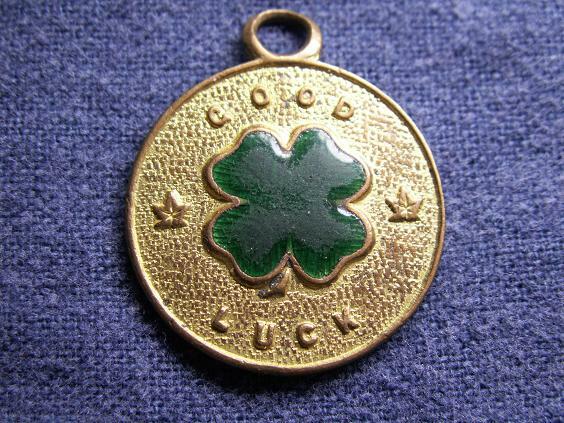 He always attributed his luck for surviving the war to this pendant. I can remember that he wore it long after the war into the eighties. He gave it to me when I was almost killed by a drunk driver in 1988 and was going through several operations. guess it worked for me as well.